Florence & The Machine are magnificent! 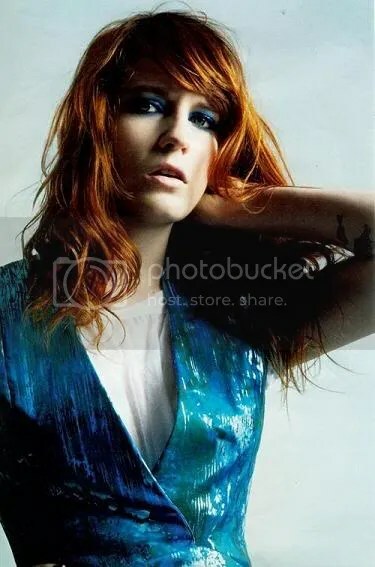 Not only is Florence Welch completely gorgeous X 12 (see below) but her music is EPIC. E-P-I-C! Her album “Lungs” hits shelves in the UK July 6th. I figured I should attach some YouTube vids of just a few of her tasty tunes. I’d heard about this band before but I hadn’t really given the tunes a fair listen- but as of late I can’t stop. This is the kind of music that I would love to make. I’m such a sucker for female vocalists. This entry was posted on July 5, 2009 at 4:03 pm and is filed under Daily Rambles, Music. You can follow any responses to this entry through the RSS 2.0 feed. You can leave a response, or trackback from your own site. I always kiss with my fists.